Contact us for all arrangements at sms@herzerltours.com. 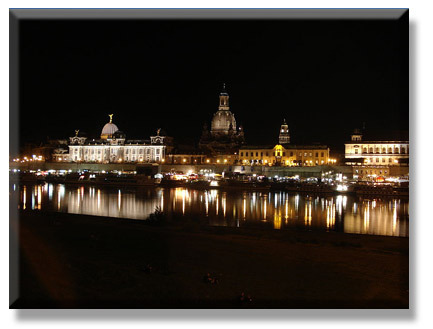 Join us for musical happenings in Dresden – one of the musical centers of Germany – and Berlin - for 2018 our latest addition to musical highlights. Other visits will take you to Meissen (porcelain) and Potsdam (with its famous Sanssouci Palace built by German king Frederic the Great.) 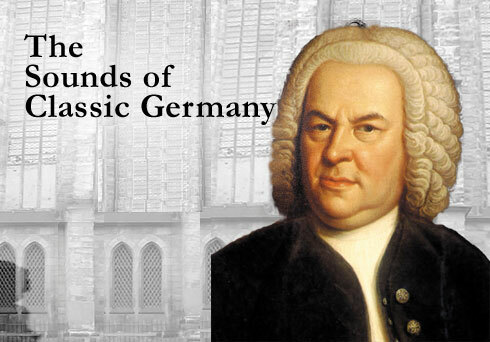 A wonderful introduction to the Sounds of Classical Germany. Herzerl Tours can assist you with your airline reservation. The price is based on the current exchange rate of the Euro vs. the Dollar (June 2018) i.e. any cost increases caused by a weakening of dollar shall have to be passed along to client. 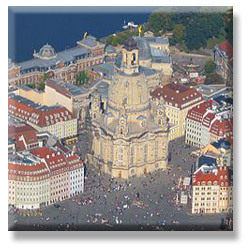 Aerial photo Church of Our Lady (Frauenkirche) in Dresden. 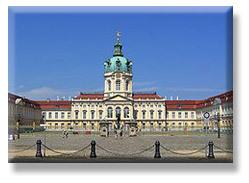 In Berlin there might be a Wagner opera and a concert in the famous Schloss Charlottenburg (tba).